No matter your type of workplace, you expect your space to look clean, be clean and smell clean day after day. Your brand and your reputation—as well as the health of employees and the people you serve—depends on having a workplace that’s thoroughly clean and free of germs, grime, and odors. Coverall has set the gold standard in the cleaning industry for over 30 years. The art & science of a better clean. 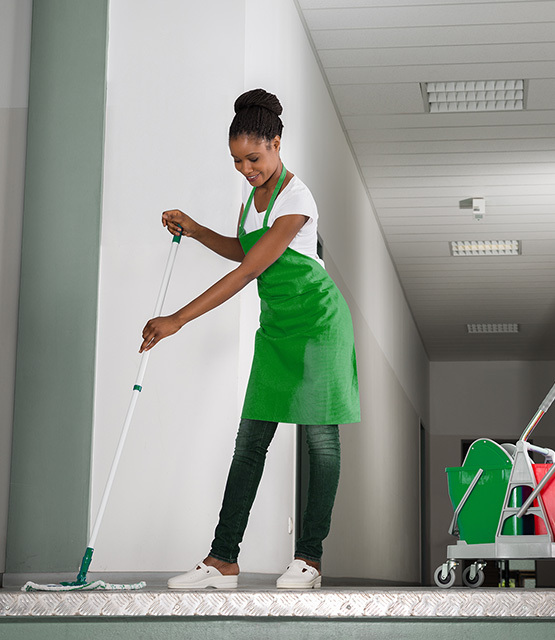 For a cleaner and healthier facility, you need cleaning equipment that goes far beyond the traditional string mops found in a janitor’s closet. Coverall’s unique cleaning system, the Coverall Core 4® Process is a combination of advanced disinfecting chemistry, tools and cleaning protocols that remove the maximum amount of soil and help reduce the risk of illness to create an exceptionally clean facility. Kills germs, uses EPA-registered chemicals and features OSHA packaging and labels. Picks up 99% of soils, helps prevent germs from spreading and is environmentally friendly. Cleans hard-to-reach places, never uses dirty water and reduces cross-contamination. Captures particles to reduce dust, helps Improve indoor air quality and quieter than most vacuums. 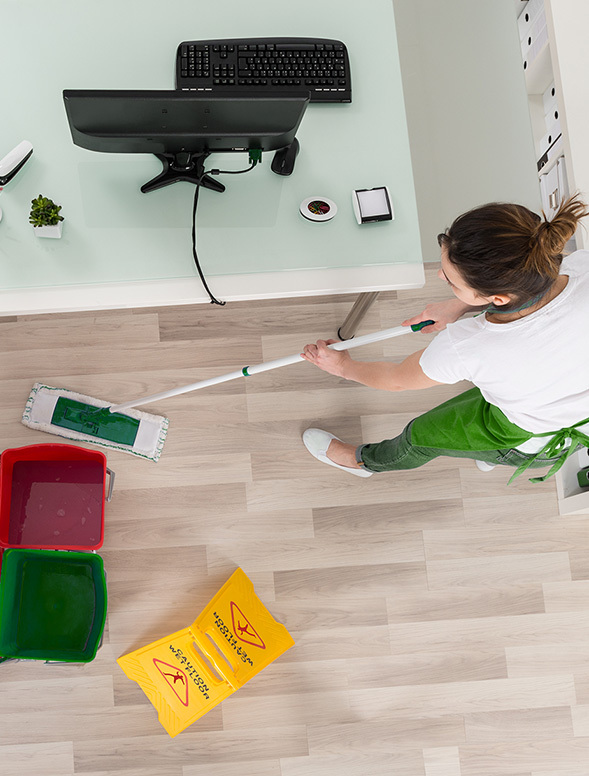 Our independent franchised business owners will provide you a thorough and consistent cleaning service so you gain peace of mind with a thorough clean. The cost of your custom clean. We are your partner when it comes to customizing the cleaning solution that’s right for you. Your facility size, the frequency of service, complexity, building layout and specific cleaning needs are all things to consider for your customized quote. *Price includes one-time a week monthly basic service plan for a general office facility under 3,000 Sq. Ft. Pricing may vary based upon multiple factors, including locale. Our customized cleaning programs take into consideration areas with high-touch points that are often overlooked by most commercial cleaning companies. Coverall’s preventative maintenance provides a thorough and consistent clean in highly-trafficked and hard to reach places. Add on our special services to increase the lifespan of your floors, fabrics and more.